I have though of this simple way to 'fix' the files permanently so you never get the error again, but KingYoshi then advised me to make a tutorial for it. So here you go, a tutarial with pics. Hopefully you don't mind Windows 10. I will use map_dragon.nsbmd for this tutorial. 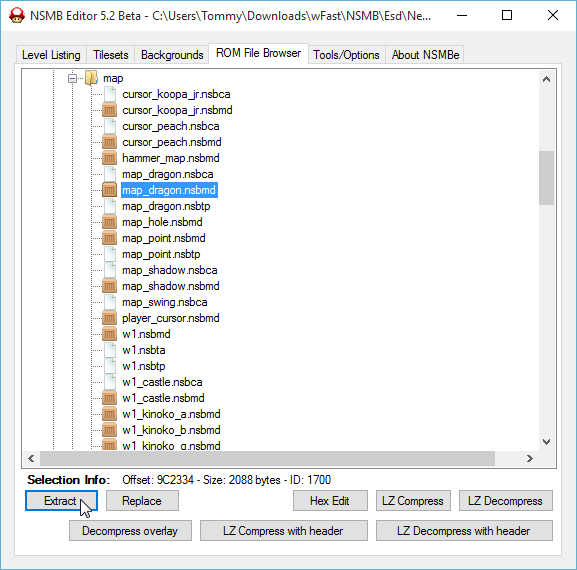 Step one: Open your NSMB ROM in NSMBe. Export the uneditable files you want without trying to open them. Even if it's just for checking if it really can't open. To extract/replace the old NSBMD you fail opening, close and reopen NSMBe, then don't try editing/hex editing the file. Thus, you won't have 'opened' the file, and won't get the 'File is already being edited' error when extracting/replacing the NSBMD. 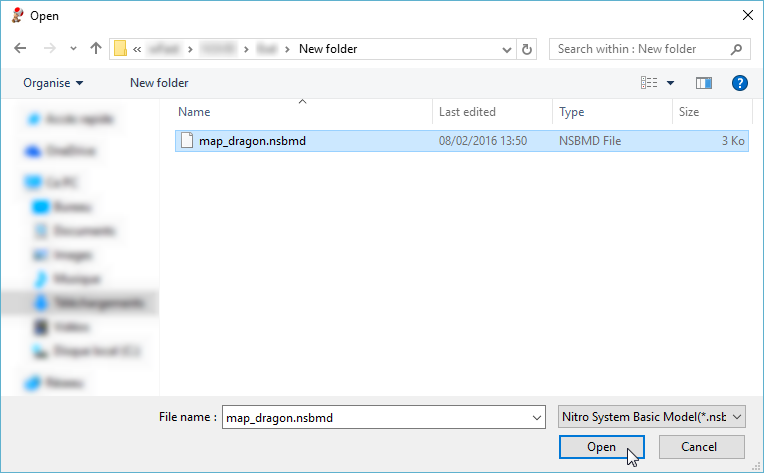 Step two: Once you have exported your files (in my case, only map_dragon.nsbmd), open MKDS Course Modifier. Open the tools tab, hover 'Nitro System', 'NSBMD', and click on 'NSBMD -> NSBMD + NSBTX'. Step three: Pick one of the files you exported. Then save the now untextured .nsbmd (either by replacing the original textured one, or by saving it in another folder) and the .nsbtx that contains the textures (saving it at the same place than the .nsbmd should be convenient). Step four: In MKDS Course Modifier, hover 'Nitro System', 'NSBMD', and this time click on 'NSBMD + NSBTX -> NSBMD'. Pick your untextured NSBMD, and also your NSBTX. It then will ask you where you want to save your new textured NSBMD (anywhere you want). At this point, if you haven't erased or deleted the old textured NSBMD already, the untextured one and the NSBTX, you can do it now. 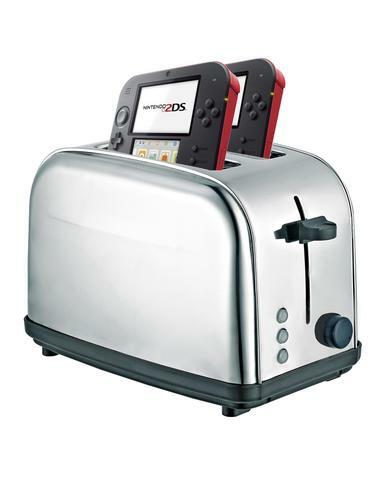 Of course, keep the new textured one until you have imported it back in NSMBe. You can also close MKDS Course Modifier at this point. Reimport your new textured NSBMD into NSMBe. You should now be able to edit it freely. If you spot any mistake in the tutorial, I'd be pleased if you reported it. This time, I WILL DO IT... ALONE! LOL. Why not give up already? Here is the new thread of New Super Mario Bros.™ 4.5 The Big Lands of The Mushroom Kingdom. Dirbaio said: "This game is unoriginal and "NSMB 4.5" is a too short and boring name." So now, this game is NSMB4.5 The Big Lands of The Mushroom Kingdom. So, here are the screenshots. Somes new screenshots are here. I can't make videos. But supertyrusland23 accepted to be the official video maker. I will send them some levels soon. Click here to download the patch. If there is bugs/ problems, please report them. If you dislike something, please report it in this thread. And if you play this game, please have a real NSMB card. Posted on 05-22-16, 06:13 pm in The single levels thread! Grab the star to go past the thwomp. Do we have a new shitjoking master here? I finally found some use for them. he has the power to nuke any hack on sight. Basically you're talking about including +1's in the karma. Right? About this... Is karma really useful? If the answer is no, I think karma could be repaced by popularity. If karma ever gets repaced by popularity, I will most probably vote for Dirbaio and gridatttack. Now isn't that name original as hell? Anyway, this is it. I'm working on this again, but I still get to be lazy so don't expect quick progress. I'm doing this as a hobby, and as a tribute to a friend of mine who once leaked NewerDS. No updated links as of now. I've made an ASM hack that plays streamed music. This means we can use ANYTHING as music! Nice cross-thread quote. Link to original post, for context. Using MP3s or WAVs is not possible WITHOUT ASM HACKS. Anything that's an ASM hack is custom and won't be supported by NSMBe itself, so people shouldn't expect NSMBe to be able to insert mp3's or wav's. I would like to make NSMB play WAVs, asm way, since sseq and stuff are very limited and since I would like to insert some music in-games without to use a midi, because I wants to keep the sounds as it is in the WAV file. So, could you tell us more about how to insert WAVs in NSMB using ASM? I wonders how this works (and some other people probably does too). About the posts below.. just ignore them. I'm gonna be honest. While this thread reeks of the 'ZOMG nub' feel, it is nowhere near retarded. Also uh, you're building a pretty bad image of yourself from making fun of noobs, ect.. all the time. Posted on 08-11-16, 04:58 am in Ask Sherry®! 667) Where do you think KingYoshi copypasted all that from?